*The one-day closure of the ramp has been pushed back from tomorrow to Saturday (July 16). The fine folks from facilities and the construction team did this to avoid any inconvenience during the work week. As a reminder, this temporary closure is for the construction team to apply a slip-resistant paint. *Hard demo of the north side of the main building is scheduled to begin Monday (July 18). Demo will take place from 7:00 a.m. – 7:00 p.m., and like the tearing down of the La Tienda building, the noise, at times, could be loud. *The construction team is building a covered walkway for the south side of Student Services West, and it will be in place for the start of demo on Monday. *Underground sewer and steam pipe work continues. 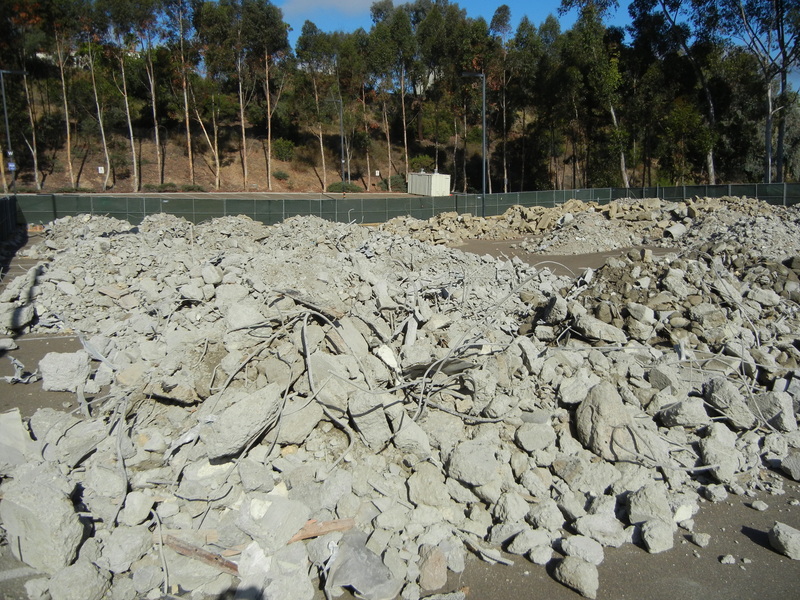 *Concrete crushing in Lot W is scheduled to begin in early or mid August.